Ajay Devgn and Kajol are one of the power couples of Bollywood. As their children Nysa and Yug have grown up they are often snapped travelling or spending time with their parents. The family was snapped at the Mumbai airport on August 2, 2018. 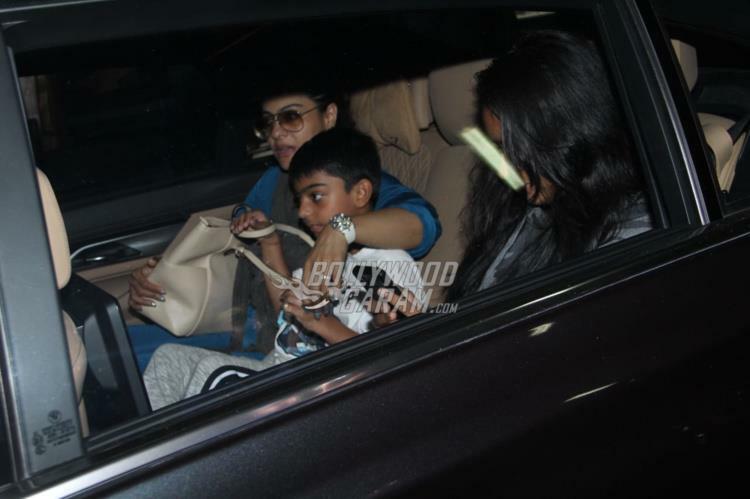 Ajay Devgn, Kajol, Nysa and Yug were snapped returning from a vacation in London. The Shivay actor was in London to shoot for Akin Ali’s directorial debut with actress Rakul Preet Singh while Kajol as busy online as she promoted her upcoming film Helicopter Eela. The couple also spent time with their children Nysa and Yug and shared many pictures on the social network. The family is now back in the city and looked cheerful yet tired at the Mumbai airport. 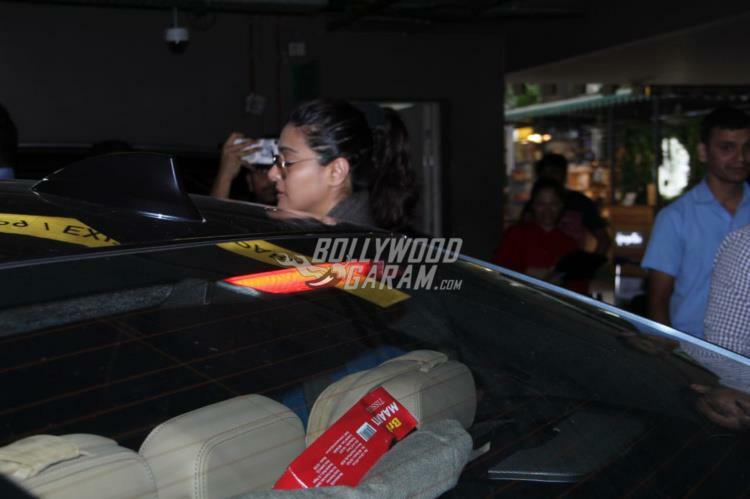 Ajay was seen in an all black outfit while Kajol looked cool in a blue jumpsuit. 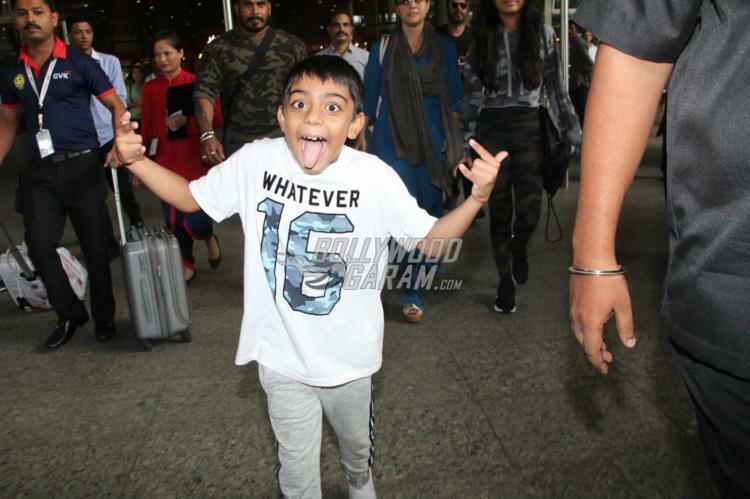 Son Yug looked excited with the attention of the paparazzi and even made a few faces for the cameras. Kajol’s Helicopter Eela is helmed by Pradeep Sarkar and also stars Riddhi Sen. The film is produced by Ajay Devgn and is due to be released in theatres on September 8, 2018.